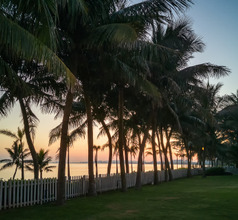 Looking for the best Far Eastern beach with plenty of sunshine, warm seas, clean sands, and luxurious beach resorts are just a click away when you think of Haikou City. This picturesque spot is the second largest island off mainland China and is located in the northern corner of the Hainan Archipelago. 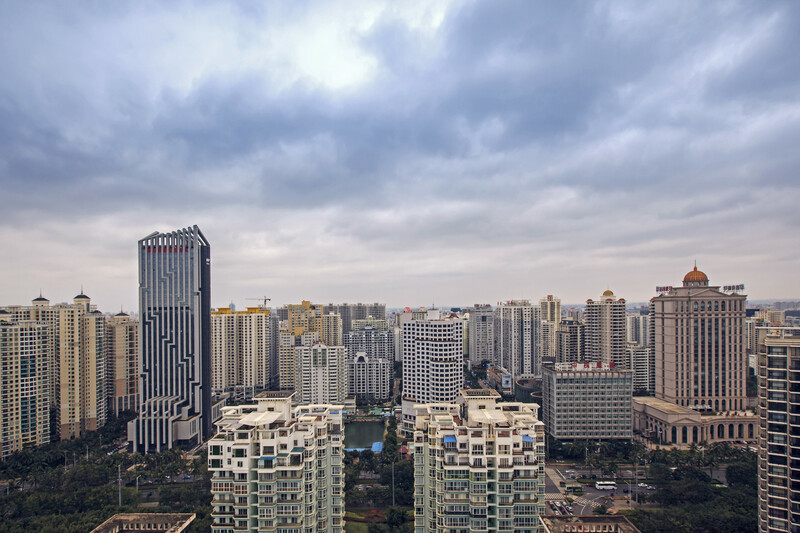 The city rests on the estuary of the Nandu River and the banks of the Qiongzhou Strait, where it faces the Leizhou Peninsula on the mainland. Haikou is also called the “coconut city” as coconut plantations are spread all over the island. 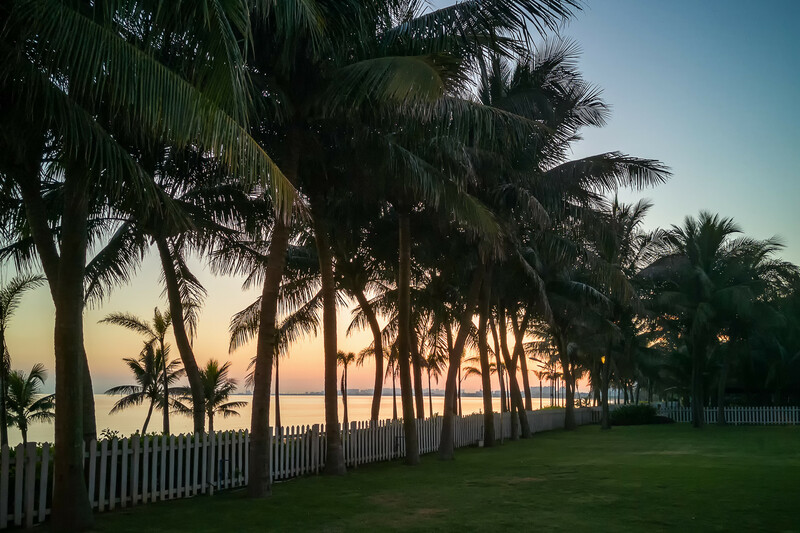 With such a wonderful location, Haikou City is surrounded by beautiful bathing beaches on three sides dotted with resorts offering 5-star facilities. There are ferries plying at frequent intervals between Haikou Island and the Hainan Province so reaching the island is easy. 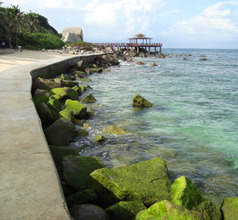 Xixiu Beach and Holiday Beach are the most popular sites for sailing, windsurfing, scuba diving, snorkeling, jet-skiing, and other pleasurable activities. 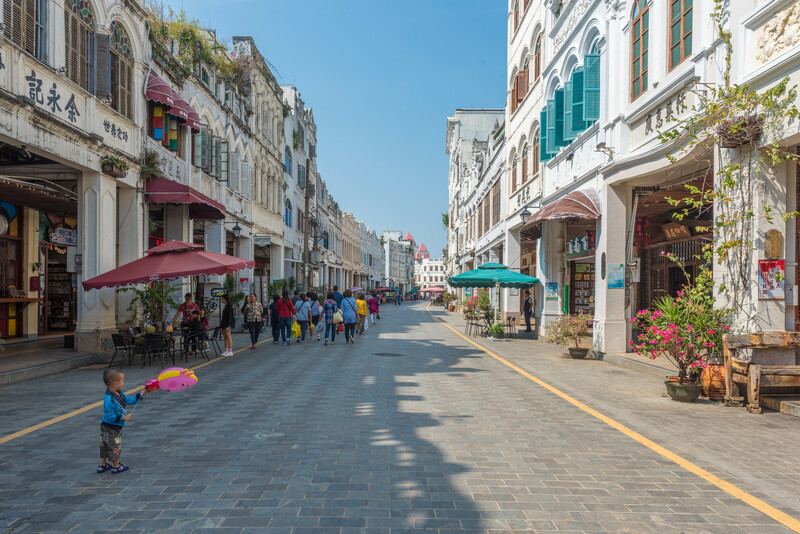 The island city of Haikou has a glorious history that dates back to 2,000 years ago when the Han Dynasty Emperor Wudi established the Zhuya County here. Later, during the Song Dynasty reign, Haikou City became a bustling trading port. 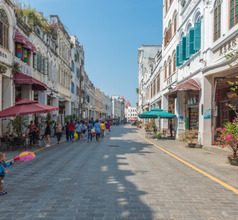 Ever since, despite the changes in the imperial rule and the subsequent established of Communist regime, Haikou Island have seen nothing but progress and prosperity. The tropical island of Haikou is an awesome mix of pollution-free environment and modern facilities. Its infrastructure and amenities are on par with the best beachside resorts in the world. Yet, it has some of the most interesting cultural, religious, and historical attractions like Hairui’s Tomb and the Xiuying Emplacement and the Wugong Temple (The Five Official's Temple). The local people are accustomed to foreigners and have a tourist-friendly attitude. In fact, tourism and hospitality services are the biggest industries on the island. 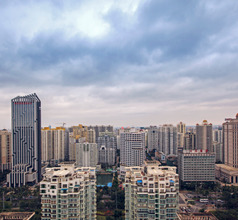 The island city of Haikou has been a popular tourist destination for centuries. Over the ages, the island has grown into a modern beachside vacation area with the best accommodation, amenities, and infrastructure. One has a choice of heritage-style luxury hotels, boutique hotels, modern multi-storied 5-style hotels, luxury hill resorts, luxury beach resorts, etc. where no expense is spared to offer the guests the best amenities and accommodation possible. There are also several 2, 3, and 4-star hotels with great views and reasonably good amenities. For those traveling on a limited budget, there are many boutique homestays which offer 4-star facilities but are cheaper than similar hotels. Those who are looking for low-priced accommodation in Haikou, the best options are the guesthouses, inns, and youth hostels. 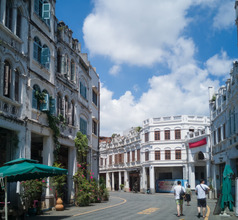 Haikou Island City offers tourists many different types of enjoyable activities. 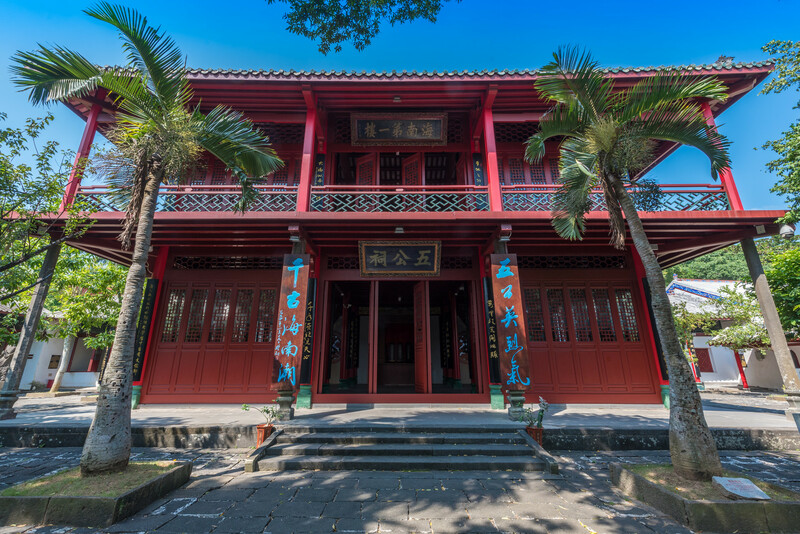 Those who are interested in the rich history of Haikou must visit the Wugong Temple. 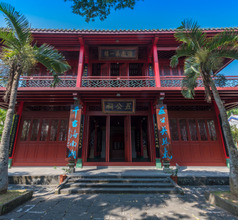 This attraction is a beautiful temple with classic Chinese architecture, artistically landscaped gardens, lily ponds, ornate bridges, palm trees, etc. constructed in a lovely tropical environment. It also has a museum and a souvenir shop. Another interesting historical site is the Tomb of Hairui built during the Ming Dynasty. It has tall archways, and stone-carved statues of sheep, lions, horses, and human figures. The entire path leading to the tomb is paved with beautiful granite lined with lush evergreen trees on either side. This site also houses the Hairui Cultural Exhibition Hall. Other historical places include the Xiuying Battery (a 19th-century coastal fort), the Qiongtai Academy built in the 18th century which also has a teacher’s training school. 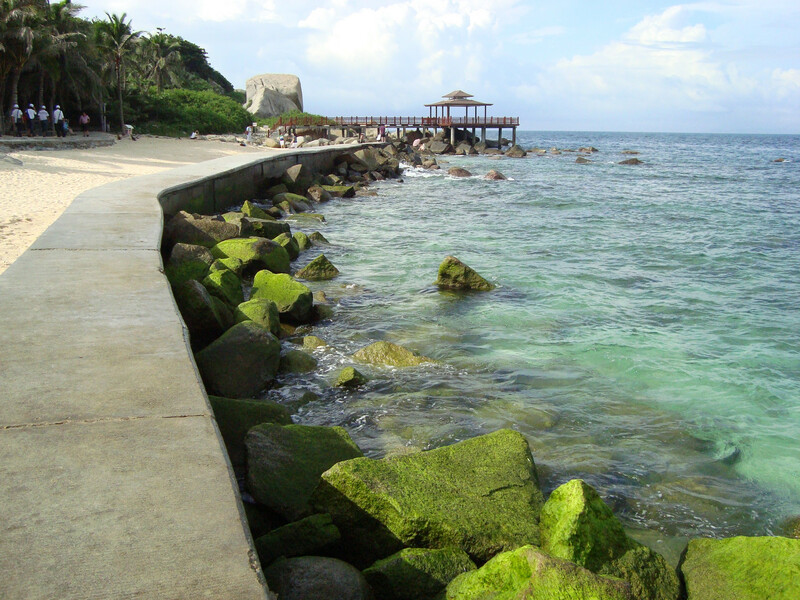 Haikou City also has a number of conservation areas where flora and faunae are protected. The most significant among them is the Haikou Shishan Crater Cluster National Geological Park. This superb volcanic cluster consists of 30 caves, 40 volcanoes, and the most magnificent volcanic crater. A visit to one of the ethnic villages nearby will make the visit even more interesting. Other conservation areas and must-sees on the island are Dongjiao Coconut Plantation which is just 20 minutes by ferry and Dongzhai Harbor Mangrove Natural Reserve Area which is not too far from Wugong Temple. The Red Forest Nature Reserve (Hong Shu Lin) is another natural bounty with the tree roots seemingly growing directly in the sea water. The roots are the perfect breeding ground for shrimps and a variety of fish. This has strangely given the leaves of the trees curative properties which are used for making herbal medicines. Haikou Meilan International Airport is a modernly equipped, concise but tastefully constructed airport that is well-connected to mainland China with limited international routes as well. Built 15 kms from the city, an airport shuttle covers the distance in 35 minutes, costing RMB15. After its operating hours though, taxis are available which take the same time but cost RMB60. Local bus would cost under RMB6 and bullet train gets to local railway stations in 10 minutes. 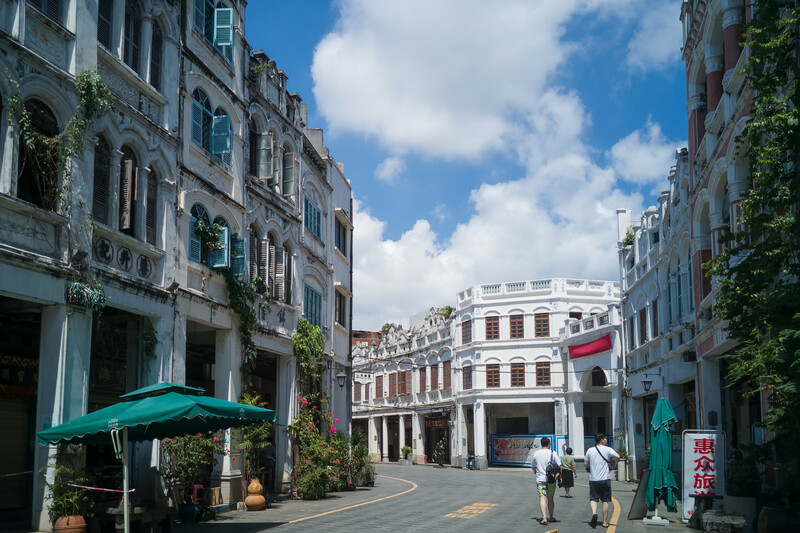 Where food is concerned, Haikou City is a real treat! The local food is a unique blend of Cantonese, Fujian (Min Cuisine), and Southeast Asian style cuisines and is very delicious. Being an island-city does not mean they use only seafood in their dishes. In fact, their local specialties include the Wenchang chicken, Dongshan lamb, Jaiji duck, Hele crab, Li-style Shanlan rice cooked in bamboo tubes, and of course, the ever-present meat hotpot. The recipe of the Wenchang chicken has remained the same since the 14th century!